thandor.net - article - Is my AGP 2x/4x card 3,3V or 1,5V? This is an howto to check whether your card uses 1,5V or 3,3V (AGP2x / 4x). Perfect for testing several 3dfx Voodoo cards like the 3dfx Voodoo 5 5000 AGP4x which actually isn't AGP4x but AGP2x. - VideoLogic Vivid! XS (Kyro II). Lay down the card with the backside facing upwards. At that point you're looking at the back of the card. Set the multimeter to measure Ohm. Also known as resistance. Picture 1: Multimeter set to Ohm. You can see the display shows '1' since the needles aren't connected to each other. This means there is no connection. To test your multimeter you can shortcut the needles on which the display should show '0'. Put one needle of the multimeter on pin A2 of the AGP card. Pin A2 is the second pin when looking from right to the left. On 'picture 2' you can see pin A2, it's colored in red. Picture 2: Pin A2 marked in red. Put the other needle on the backplate of the card. On 'picture 3' you can see more details. The arrows point to contactpoints which usually are ground (GND). 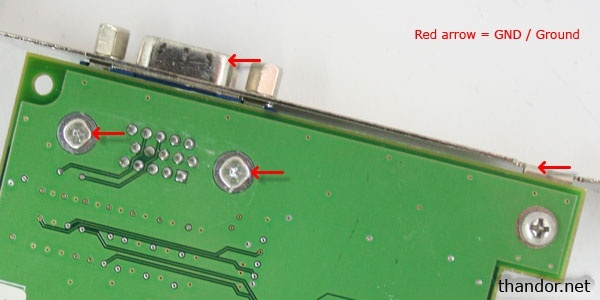 The backplate of the card is, as far as I know, always connected with ground (GND). If you don't have a backplate you can use the D-SUB or DVI connector. Picture 3: the backplate of the card. If there is no connection between pin A2 and ground (GND) the multimeter will display '1'. This means we're dealing with an AGP 3,3V card. If the multimeter shows '0' we have an AGP 1,5V card. 3dfx Voodoo 4 4500 --> 0, connection = 1,5V. 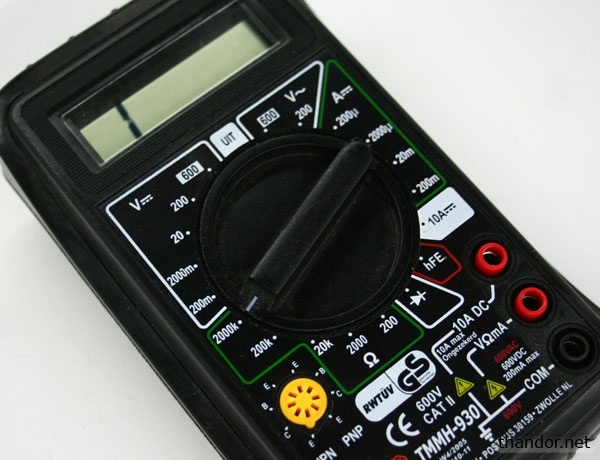 I have no multimeter, can I still do this howto? Yes you can. Look at the second picture in which pin A2 is marked red. As you can see the connector doesn't lead to anything. It just only a connector without a wire to something onto the graphics card. 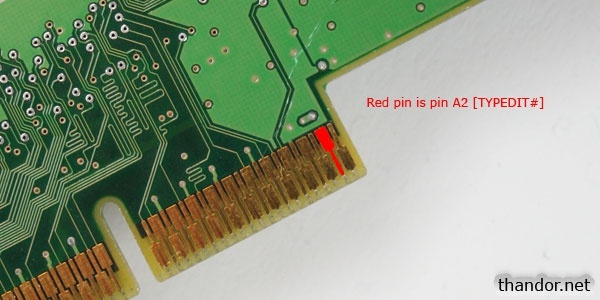 If you take the 6th pin (go four pins left starting from the A2/red pin) you see a wire from the connector to somewhere on the card. These pins are actually used. Although I think measuring is a better way to test, this will work out also . and they can do AGP x4 , I received 3 jumpers with the cards, so I could put them in a AGP x4 mode via the jumpers and without the jumpers the cards ran AGP x2. I don't know about the first and third but the second one indeed had jumpers to select AGP2x/4x operation. But if I remember correctly this was only on the later revision. The Viper V770 (TNT2 Ultra) I have here can switch but the first revisions couldn't .